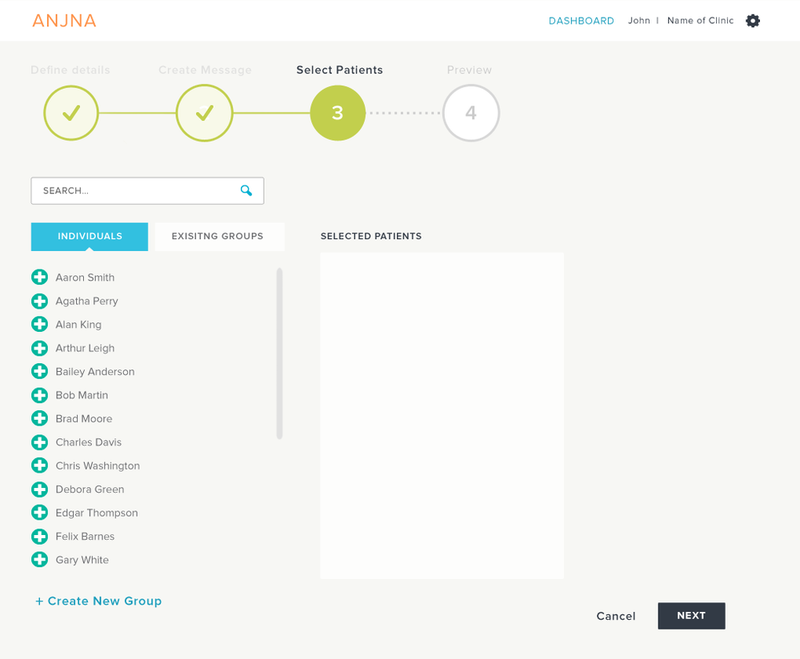 Anjna Patient Education, now CareMessage leverages mobile technology and personalized SMS messages to deliver actionable, tailored medical content that improves appointment attendance, medication compliance and disease self-management skills. Provider can view an overview of all the group meeting reminders that are created, scheduled, in progress, completed, or cancelled. 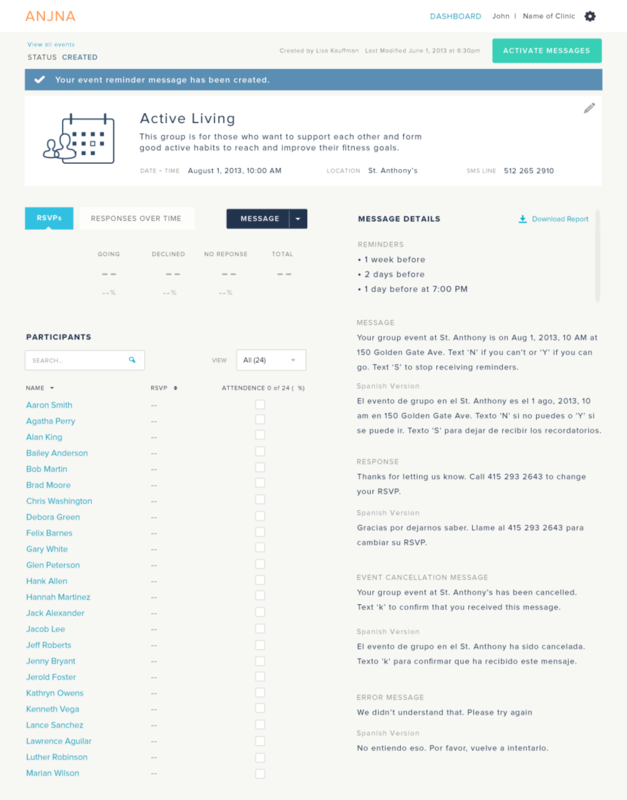 Provider can view the RSVPs and responses of a specific group meeting patients have been invited to. Provider can view responses over a specific duration of time. A message can be saved and created if the provider is waiting on some one such as a supervisor for specific information or approval. Messages can be scheduled to go out at future times. Messages can be cancelled if there is a low-rsvp rate. Once messages are sent provider can view the RSVPs and responses from each patient. CareMessage piloted programs with 3 clinics and a union to help patients better self-manage to improve their health and decrease unnecessary utilization of services. The first free medical clinic in the country, HR360 provides primary care, mental health care and substance use treatment. They have a 12-28% no show rate which inconveniences both other patients and doctors. Through individualized care plans, support groups and education, patients learn to effectively manage their chronic conditions such as obesity, diabetes, and high blood pressure here. This mobile medical clinic provides health services such as physical exams, acute illness and injury care, STD testing and treatment, mental health, and nutrition counseling for uninsured and homeless youth. This union represents about 200,000 hospitality workers in places like hotels, stadiums, casinos, airports and cafeterias in the U.S. and Canada. The union has a health plan Unite Here Health dedicated to providing healthcare for hospitality workers and their families. 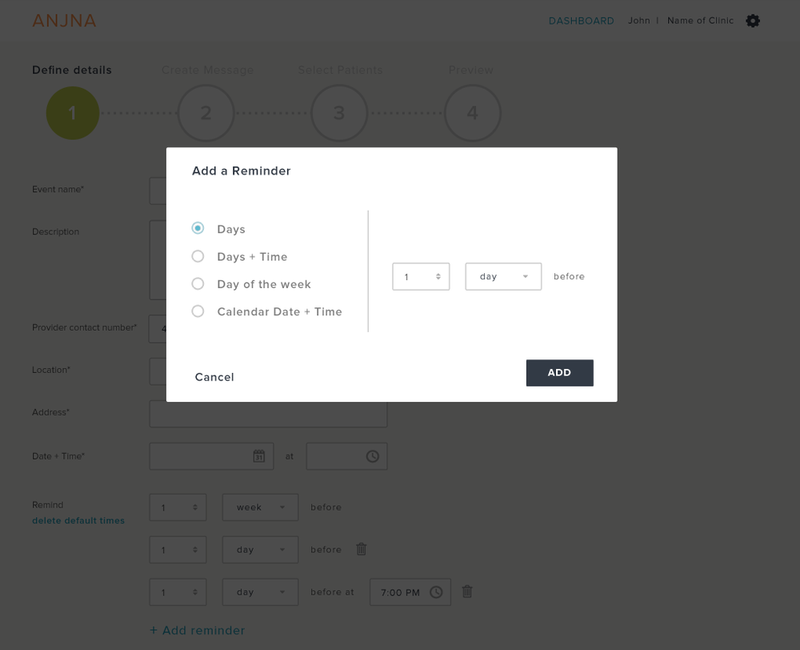 Upon selecting reminders, a provider has the option of choosing a specific reminder type. 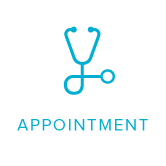 The patient profile provides a comprehensive understanding of the different Appointment, Event, Medication, and Educational Messages they will and have received. Whether a user is opted-in or out can be viewed or controlled from their profile. Changes in ER use, hospitalization, prescription drug, and office visits will be monitored. 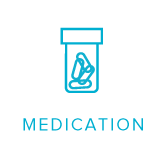 Prescription drug usage is expected to increase in the short term as participants learn the importance of compliance and then again when the reimbursement program kicks in, but may decrease in the long term if participants are successful in self-managing.